Every year, we are looking forward to the summer time to enjoy these kinds of rare moments of music in front of the sea. For the 3rd edition, Carré Funk’s atmosphere will be loud and very groovy. We are glad to host Mrs Margaret Dygas, the official resident of the legendary Panorama Bar, one of the most respected and long standing artists in the electronic world. 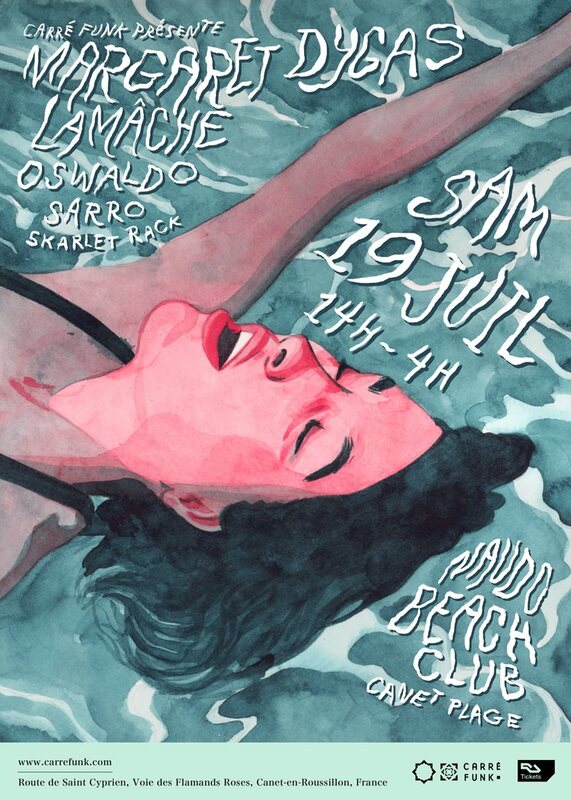 She will play with Lamache (Toi.Toi Music / London), Oswaldo (Discours), Sarro and Skarlet Rack for a crazy day and night Party, dancing on the beach….